Every Tuesday and Thursday lunch time, ECU runs interactive Bible talks. Public Meeting is a great place to learn and have an encounter with God and other Cumbo students. Everyone is welcome! 12pm-1pm every Tuesday and Thursday during semester. Location to be confirmed. ECU small groups are a great opportunity for you to read and investigate the Bible to about God in an open, relaxing atmosphere. Groups are made according to year and course, so you can meet other classmates who are keen to investigate Christianity also. A typical small group usually involves encouraging each other by praying, reading a passage or two from the Bible, and working in the group to figure out what the passage is saying to us today. Small groups run for an hour, every week of the semester right around the campus. If you are interested in joining a small group, head to our Contact Us page, drop off your contact details and course you are studying. Someone will let you know what time your course/year small group is on! Prepared to Serve is where students get thinking about certain topics with a Christian perspective. Additionally, PTS aims to equip students to serve at ECU or your church and to faithfully witness to the Lordship of Christ by teaching sound theological and ministry skills ! ​You can register for 1st semester 2019 here. Mid Year Conference, or MYC, is an annual Bible teaching conference held in the mid semester July break. We spend a whole week together soaking in the word of God via the Bible, examining the Scriptures on a the key themes of the Christian faith. In 2019 we'll be thinking about the death of Jesus. MYC is the camp every ECU member looks forward to, as it is a great, fun time to meet and hang out with new friends - and of course, study the Bible together! 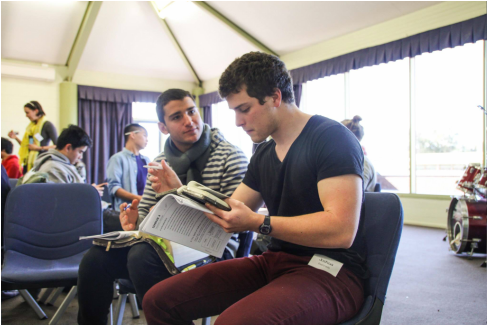 National Training Event (NTE) is a conference held by the Australian Fellowship of Evangelical Students for equipping and teaching students to engage and mature in their faith and knowledge of the Bible. 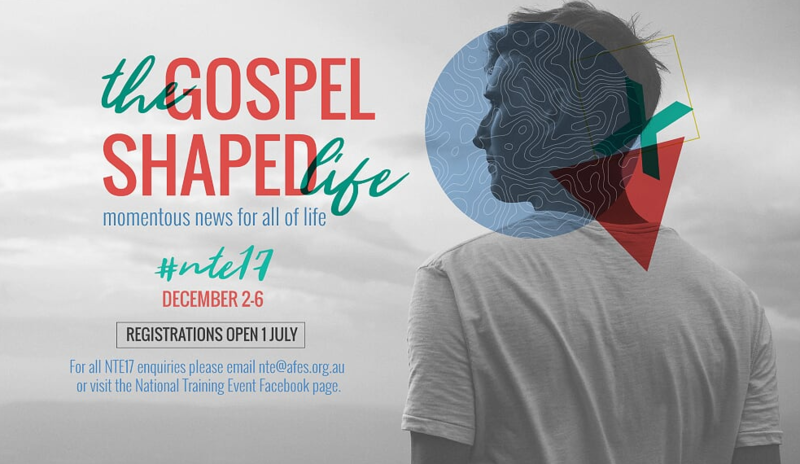 NTE runs in two parts - a five day conference in Canberra, followed by a four day mission, serving at a local church around Sydney. For the mission part of NTE. 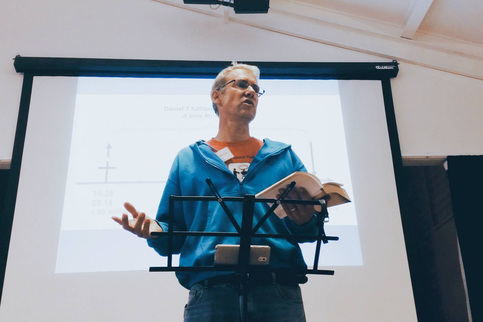 ECU will be partnering with several churches around Sydney. Typically, mission involves helping in all sorts of ways with the church, such as walk up evangelism, running kids and youth group programs, and even helping run their Sunday church services. 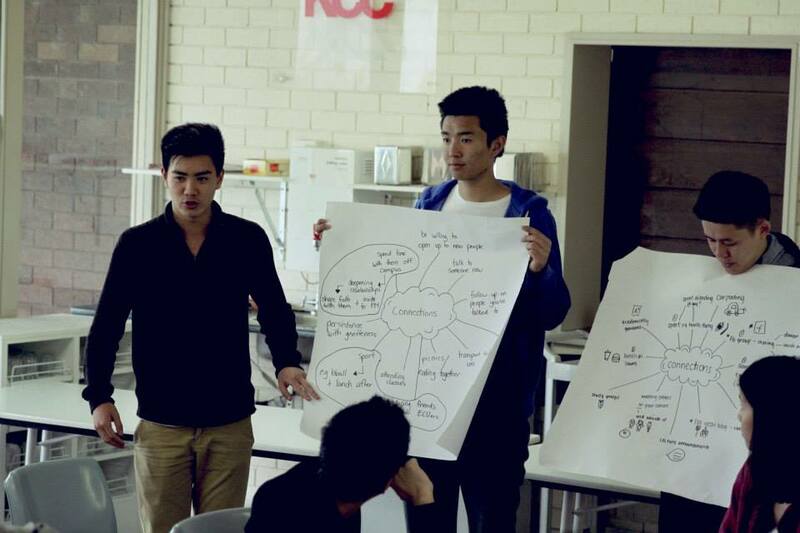 It's a great way to apply your skills learnt during the conference with other students! Kick On is a start of the year weekend camp for ECU-ers to learn and be challenged by God’s word. It's a great weekend to catch up with old friends, meet new ones, and be encouraged for the year ahead to proclaim Christ to Cumbo.